Ardmore Elementary School serves a diverse and cosmopolitan community in Microsoft's back yard. One of the first STEM elementary schools in the Bellevue School District, Ardmore boasts an above-average percentage of teachers with “highly qualified” ratings and National Board Certification. School and extracurricular programs include arts, music, drama, engineering, and soccer. Ardmore families speak over 30 native languages. Due to this diversity, the school offers unique emphasis on multicultural learning. Our teachers excel at differentiating lessons based on their students’ needs. Students who need big academic challenges get them, while students who need help get it. Although language diversity impacts early test scores, Ardmore students graduate into top-rated Bellevue middle and high schools, where they excel. 1. Our 100% new school building opened in fall 2010, and is state of the art. It provides a thoroughly modern and well-equipped learning environment that helps children and teachers make the most of their time. 2. Unlike many schools, Ardmore is not overcrowded and doesn’t need to use temporary classrooms, which ensures an orderly and distraction-free learning environment. 3. All eligible staff members have the highest rating (“highly-qualified”), making Ardmore’s staff above average compared to other school options, and as of 2012-13, 38% o teachers were National Board Certified versus the national average of 3%. 4. Teachers use instructional methods established as best practices for all students. Teachers differentiate lessons based on their students’ needs, providing everyone with a great education regardless of abilities. Students who need big academic challenges get them. Students who need extra help get it. Our exceptionally qualified and experienced teachers know how to keep students of every ability growing. 5. Ardmore graduates excel in middle and high school. They win awards, take advanced classes and participate in extra-curricular activities. Ardmore students are well-rounded and very diverse. They have travelled the world, speak numerous languages, participate in the arts and give back to their community. 6. Ardmore kids are kind and tolerant of diversity. Friendships extend across racial, cultural, religious, and economic lines. The school culture is welcoming of new children and their families. The diverse population of the school reflects the culture that our students will grow up and work in as adults in a global economy. 7. We have strong extracurricular programs including Chess Club, piano lessons, Divya Performing Arts, Reading Club, Family Math and Literacy Nights, Robotics, Lego Club and a variety of other student and family activities. 8. Ardmore was one of the first three elementary schools in the district to implement a STEM program (Science, Technology, Engineering, Math). Children have really responded well to this hands-on curriculum and parents are very happy too. 9. Our dynamic Principal Dr. Anne Reece and Assistant Principal Emily Whitten are accessible to parents and deeply committed to the success of each student. Choosing a school is an important decision. 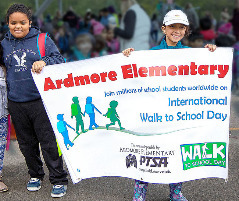 The Ardmore parent and teacher community are deeply committed to the success of our school, and feel that Ardmore's combination of academic, social, and cultural education makes it one of the best places to be in an outstanding district. Our focus is on educating the whole child, not just test-taking. Unlike many schools, test scores aren't our sole focus because we recognize that success in life depends upon a wide variety of skills and other preparation in childhood. We focus on providing a well-rounded education via a curriculum founded in research-based evidence of what works best. In addition to the basics of reading, writing and math, we offer a variety of other subjects and opportunities including social studies, music, art and physical education. We have great extracurricular programs including Chess Club, piano lessons, Reading Club, Family Math and Literacy Nights, tutoring programs, and a variety of other student and family activities. We also focus on social-emotional education through our bullying prevention program and safe and civil schools committee with the help of our positive behavior support specialist. From gifted to special needs, we give all students the help and challenges they need. 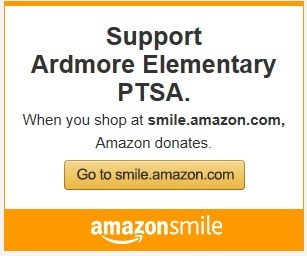 Ardmore is generously staffed and skilled at giving all students what they need to make progress and succeed, whether your student is gifted or needs additional help; progressing typically, or has special needs. We have staff that are exceptionally well-trained, motivated and have the time to give all students the right challenges for their abilities and needs. Our teachers differentiate lessons based on each student’s needs, providing a great education regardless of abilities. Students who need big academic challenges get them. Students who need extra help get it, without taxing the time of the classroom teacher or the class itself. Our exceptionally qualified and experienced teachers know how to keep students of every ability growing. Title 1 provides our students with more resources. Ardmore is a “Title 1” school, like several others in the Bellevue School District. Title 1 is a federal program that provides funds to schools to bridge the gap between low-income students and other students. Ardmore uses Title 1 funds to improve curriculum, instructional activities, counseling, increased staffing and more. Title 1 is good for Ardmore because it adds additional resources that allow us to serve our diverse student body more thoroughly than most other schools can. Our large English Language Learner (ELL) population is a benefit. First, it’s important to know that the definition of ELL that the district uses is quite broad. ELL just means that a student heard a language other than English first. Many students classified as ELL are actually bilingual and have no trouble with classes conducted in English. In fact, the test score data for our school shows ELL students doing as well as the rest of the student body. For children who are not yet proficient in the English language it is typically a short-term gap for any given student and we work hard to bring each ELL student up to standard. Again, we’re resourced sufficiently to focus on all kids’ specific needs to succeed and be challenged in school. More broadly, the very diverse character of our students and their families is one major strength of Ardmore. That diversity provides a unique level of education most children miss in homogenous schools. It is also the basis for a school culture that is inclusive and respectful, and thus wehave few cliques or other divisions at the school.